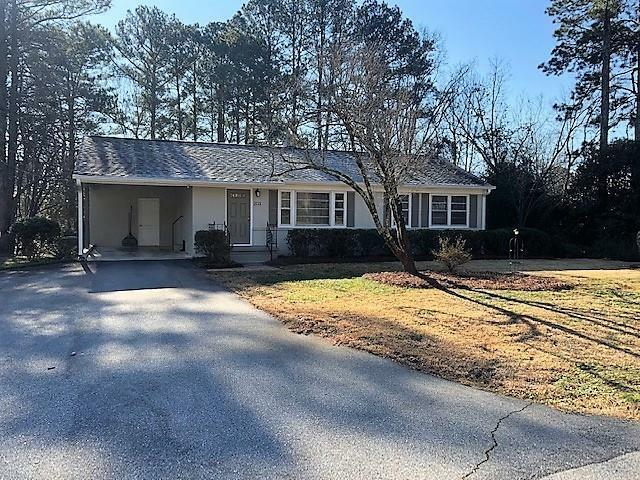 Absolutely charming an MOVE-IN READY in the well established, quiet neighborhood of Sunny Acres, this brick ranch home is 3 bedroom, 1 bath an has City of Clemson Rental License for 3 unrelated persons! The location is approx. 1.5 miles from Clemson University and the City of Pendleton. Featuring increadibly beautiful oak hardwood floors throughout including the kitchen, an open living and dining area, and a wonderfuly large kitchen with abundant cabinets an counter space. All appliances in the kitchen are stainless steel. The large, flat backyard is partially fenced with a patio off the rear porch. The crawl space is "A Healthy Home" incapsulated with dehumidifier and sump pump. The driveway was newly paved in 2016 and the Trane 2 ton XB13 Heat Pump is approx. 5 years old with 10 yr. parts and compressor warranty. All information deemed reliable, however, please verify all information including numerical information if important to the buyer.